You’ve heard of One Health, but what does it look like in a wildlife health career? The health intersections between animals and humans are real. Our knowledge of the interactions’ effects on species and the environment is limited but growing — and your involvement as a veterinary medicine professional is indispensable. Awareness is an essential first step. Veterinary and medical experts had a chance to weigh in during a career panel hosted by Students for One Health at the UC Davis School of Veterinary Medicine. The panelists shared their insights on the influences and positive impact of a One Health approach to wildlife and the environment. 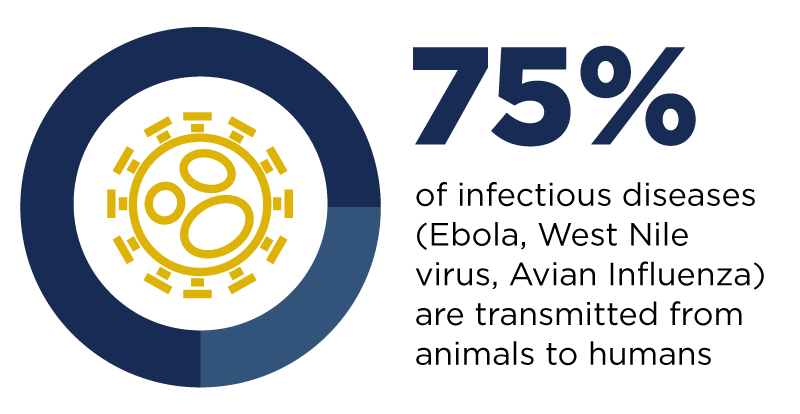 “There’s no way to work in the field of wildlife health without addressing the human health component,” affirms Kirsten Gilardi, director of the Karen C. Drayer Wildlife Health Center at UC Davis.